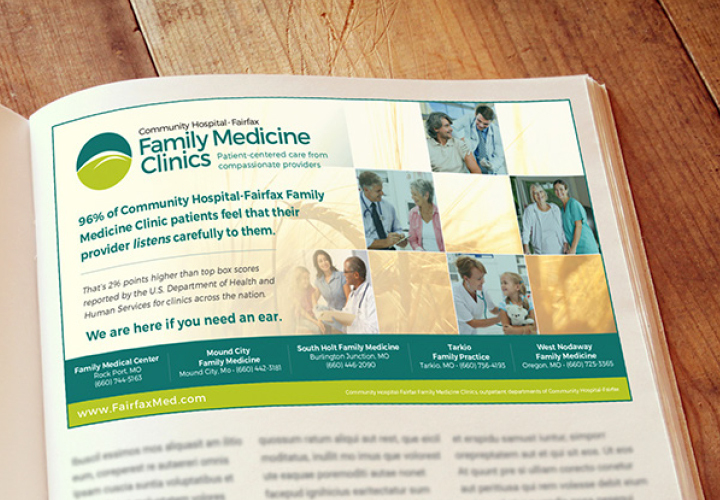 Community Hospital-Fairfax and SJC Marketing have a lot of fun creating modern, informative and eye catching ads and graphics to help the hospital tell the community about their services. 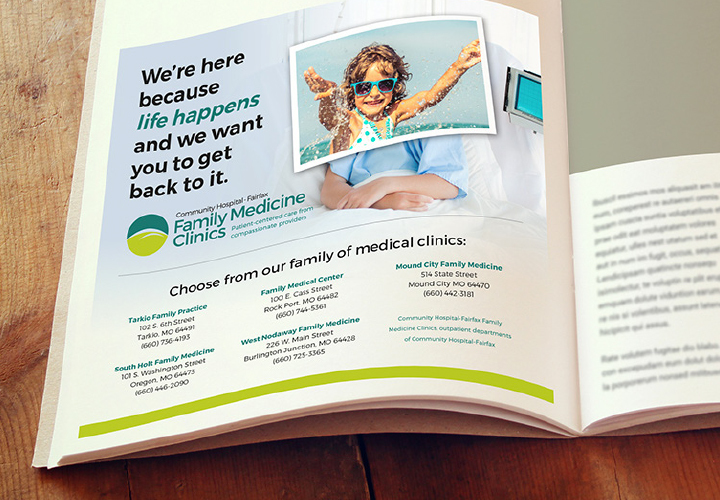 The hospital needed a partner who could provide professional graphic design in a timely manner. They also needed a new brand to present their family medicine clinics, so SJC created a new logo and suite of images, including letterhead, billboards and postcard mailers. After working with SJC, CHF now has a comprehensive brand that can be easily recognized in the community. In addition, SJC also provided social media optimized images so the ads that people are seeing in the local papers are also shared on their social media platforms for a uniform look.